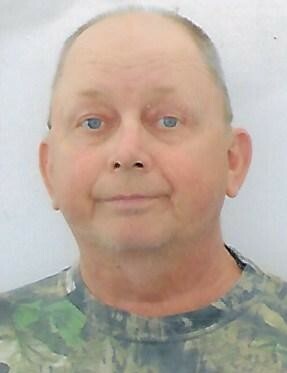 Obituary for Roger Schomburg | Knight-Confer Funeral Home, Inc.
Roger Schomburg, 64, of Hughesville, passed away Sunday Jan. 27, 2019, at Geisinger Medical Center, Danville. Surviving is his loving wife of 43 years, Debra A. (Hauser) Schomburg. Born April 19, 1954, in Rockford, Ill., he was a son of the late Sarah C. (Shaffer) Taggart. Roger was a member of New Life Church, Pennsdale. He was a welder by trade but could often be found outdoors. He enjoyed hunting and fishing, and loved his boxers, especially the late Puppa. Above all, Roger loved his time with his family and spending time with his "little squeezers." Surviving in addition to his wife are his children, Roger Schomburg (Sabrina), of Picture Rocks; Andrew J. Schomburg (Nicole), of Hughesville; and Ben A. Schomburg (Chasity), of Hughesville; six grandchildren, Gavin, Aidan, Maximus, Arianna, Kylie and Alaina; two brothers, Ronald Miller (Trish), of Linden; and Archie Miller (Cathy), of Milton; a sister, Linda Cromley (Robert), of Las Vegas; and many nieces and nephews. In addition to his parents he was preceded in death by his siblings, Vaughn Schomburg Jr., Dixie Smith and Carol Davis. A funeral service to honor the life of Roger will be held 10:30 a.m., Friday, Feb. 1 at Knight-Confer Funeral Home, 1914 Memorial Ave., Williamsport. Burial will follow in Montoursville Cemetery. A viewing will be held Thursday from 6 to 8 p.m. and Friday from 10 a.m. until the time of service.